Cherry blossom at Sake no Hana, a new restaurant from Tom Sellers, Morito goes (further) east and a new venue for Rosa’s Thai Cafe. 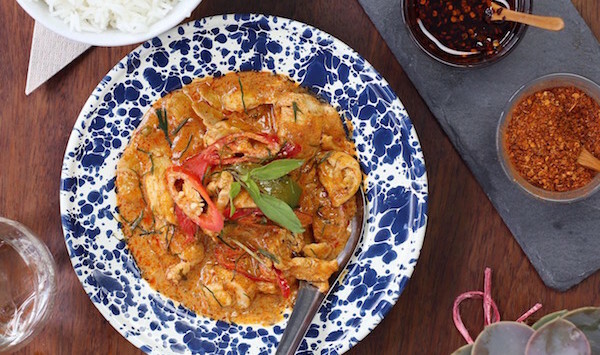 Read our guide to the new openings and restaurant news to have on your radar for May 2016. 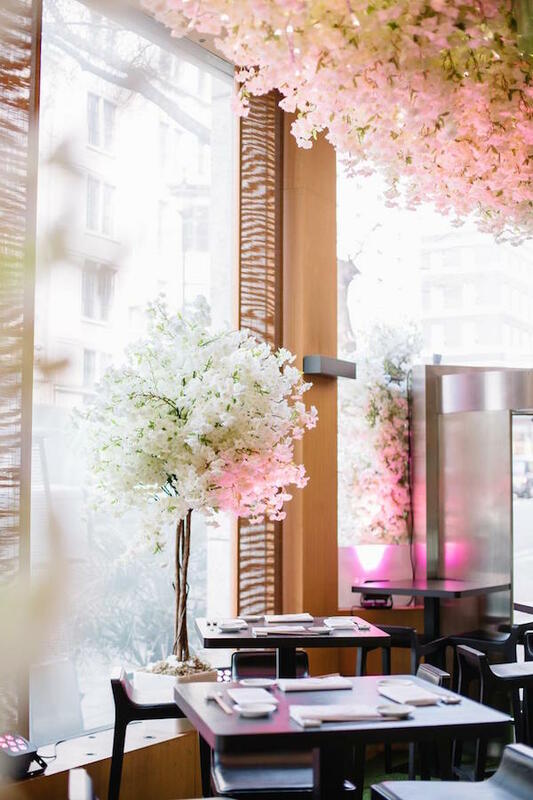 Sake no Hana, the Japanese restaurant from the Hakkasan Group, is celebrating the arrival of Spring with the return of the Sakura cherry blossom garden in the Sake no Hana bar. 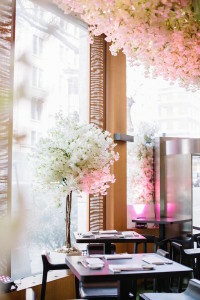 The bar has been transformed with intertwining cherry blossom branches, falling petals and a grass floor. A limited edition menu includes a bento box with a selection of sushi and hamachi, akami and salmon sashimi and a main choice of salmon miso yak or Sumiyaki chicken with spicy shichimi sauce. Sake no Hana features on our guide to the best Japanese restaurants in London. Opening on 19 May for dinner and full service lunch and dinner on 6 June, Restaurant Ours will serve seasonal modern and traditional European and British dishes from chef Tom Sellers (from Michelin-starred Restaurant Story). 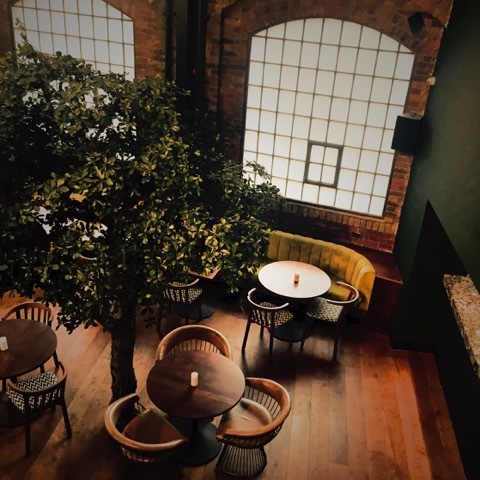 There is seating for up to 120 in a spectacular dining space, with a central integral bar, a mezzanine level for lounging and dining, and an open kitchen at the rear of the restaurant. There is also a private dining room to accommodate up to 24. Osteria 60 is a new modern Italian restaurant opening on 11 May adjacent to the Baglioni Hotel in Kensington. The restaurant seats 88 and also has terrace area facing Kensington Gardens that will accommodate up to 30. Osteria 60 will be open daily for breakfast, lunch and dinner. Rosa’s Thai Café opens another café this month in Victoria. 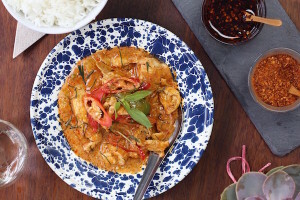 Offering Thai cuisine with a contemporary twist and punchy flavours, Rosa’s uses locally sourced ingredients – from British beef and lamb to Thai basil grown in London. 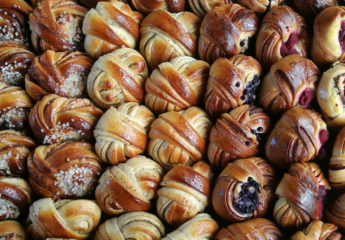 This will be the 7th outpost of Rosa’s across London. The team behind Moro and Morito in (some of the best restaurants in Clerkenwell) will open their third restaurant this May. Morito on Hackney Road will be headed up by Samantha Clark and Marianna Love (currently Head Chef at Moro). 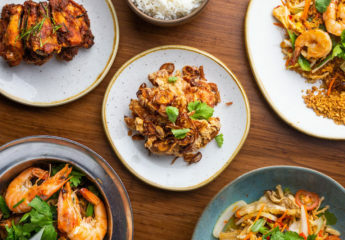 Morito will open its doors in May for breakfast, serving made-to-order Moroccan breads as part of the menu, followed by lunch and dinner of tapas dishes and larger family-style plates for the whole table. 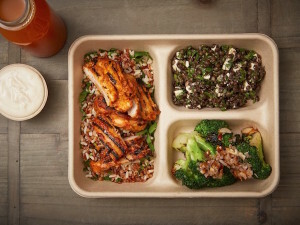 Opening in Leadenhall on 9 May, Farmer J will bring all-day market food to the city. Offering healthy, filling and fast food, menu options include Farmer J’s Field Trays, which are made up of char-grilled meat and fish served alongside a choice of healthy grains, roasted veg and fresh salads. Sandwiches available include flank steak with slow-cooked red onion, watercress and chimichurri. 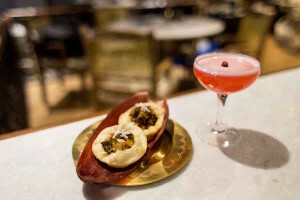 Talli Joe will bring Indian style drinking and dining to Shaftesbury Avenue. 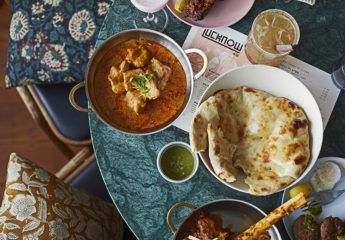 The restaurant’s menu has been devised by Executive Chef Sameer Taneja (formerly of Michelin-starred restaurant Benares). Dishes are taken from across India’s diverse culinary landscape and are given a contemporary twist and are designed for sharing. Matcha and Japanese food specialists Tombo are opening a new contemporary Japanese café in Soho this month. Located at 28 D’Arblay Street, the café will specialize in poké – the Japanese inspired, Hawaiian sushi. 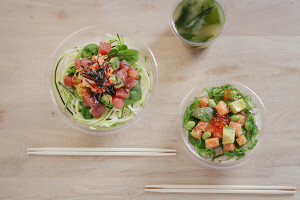 Tombo, Poké and Matcha Bar will offer a range of poké made up of ingredients including salmon, tuna, prawn, kimchee, avocado and edamame served over sushi rice, courgette noodles or black and white rice.